Fishing on the McKenzie and Willamette has been great the past few days, warmer nights and a bit of rain during the day is a welcome change. 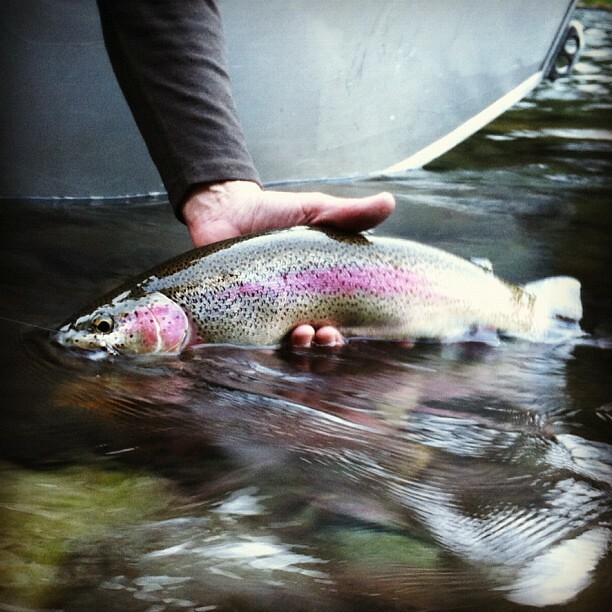 Fish are dialed into smaller bugs as well as October Caddis. Try swinging Dark Cahill Wets and Hare Ear type Soft Hackles, and using size 12-18 Parachute Adams as your dry. Be looking for Blue Winged Olives in slower water and flats. Some good BWO patterns include, Extended Body BWO #18, Quigley’s Hackle Stacker BWO #18, Quigley’s Sparkle Flag BWO #18 and Hi Vis Parachute Olive in #18.